The cryptocurrency industry descended on Kiev Friday for the Next Block Conference at the Hilton Hotel Kyiv. Hosted by Cryptovest and Krypton Events, the conference featured a wide range of participants, crypto providers, and leading executives across the industry. Finance Magnates was also in attendance at the Next Block Conference, which this year saw no shortage of marquee industry figures. 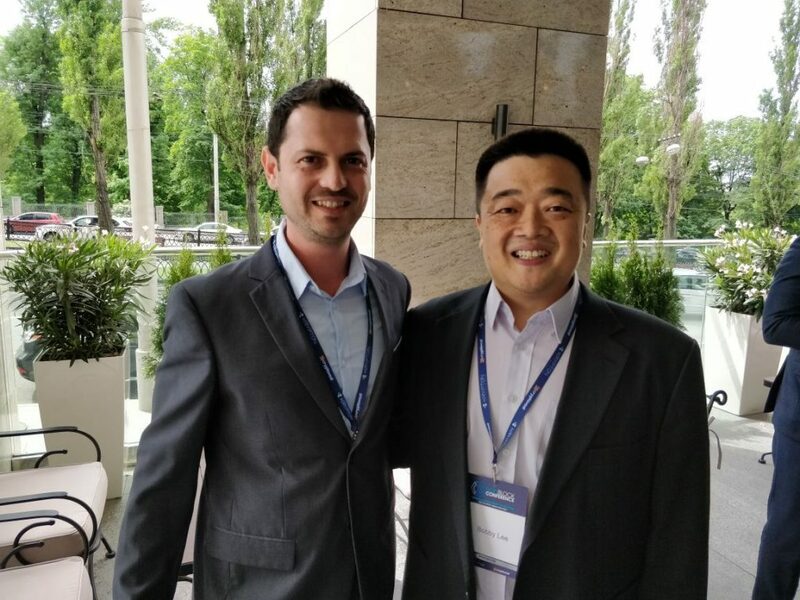 This included Bobby Lee, co-Founder of BTCC and Board Member of the Bitcoin Foundation. Lee spoke to Finance Magnates, who touched on a rather complex subject, i.e. Chinese regulators’ approach to BTC. In addition, Lee, the event’s keynote speaker also had several other things to discuss during the course of the event. Of particular note was his concept of money and ownership, and how this notion has changed in recent years. “Whatever you own now its own under your personal name. Back in the days, owning meant possessing. When someone takes something from you – this meant he owns it. So, there are 2 models: ownership by identity and by possession,” he noted. “For instance, upon going to a bank for a wire transfer – the bank gives you a hard time for wanting to move your own money. Another example is payment services, like WeChat – you are limited in the amount of money you can transfer. Take the system of points – airlines mileage, hotel honors programs… this actually gives them the control of your consumption. Bottom line – your money isn’t really your money,” he explained. I’m flying to #Kiev today, to speak at the #NextBlockConference organized by #KryptonEvents. I’ll talk about #Bitcoin and the revolutionary nature of #DigitalAssets. The Next Block Conference also delved into other areas of emphasis across the cryptocurrency and blockchain industry. With Bitcoin celebrating its ten-year anniversary, several leaders have certainly taken note as to how far the industry has come in just a decade. The focus has now shifted firmly towards the future, with cryptos and blockchain technology jumping into the mainstream over the past year. Indeed, the event touched on multiple key areas, perhaps no more relevant than global regulatory trends. This includes regulating exchanges, banning banks from transacting, controlling ICOS and token issuance, requiring proof of funds, and KYC & compliance measures. It is worth noting that the mood at the conference as strongly upbeat, with many crypto components seeing only brighter days ahead for the industry. Much like Lee reiterated, most feel the industry will always find a way.